Are you still using last century’s appliances? We have something much better for you. 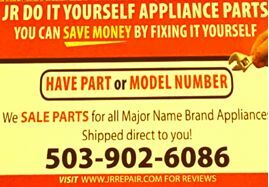 Allow J.R. Appliance Installation in Portland OR to upgrade your home with new and improved appliances. By providing complete appliance installation services, we make your life more convenient and your home more modern. 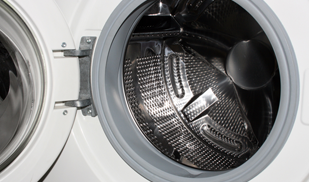 Don’t settle for a washed-up washer or dying dryer when we can install brand-new, efficient ones in your home. If you are a returning customer, you’ll also receive 15% off our services. We provide appliance installation to serve residential and commercial customers in Portland, Beaverton, Cedar Hills, Tigard, and Lake Oswego, OR. You’ve selected a new refrigerator. You’ve arranged for shipping. And now it’s arrived. What do you do? That’s a lot of weight to move. Allow us to install your new appliance for you. As experienced appliance installation technicians, we have provided this service for more than a decade. Our experienced team installs everything from refrigerators and washing machines to clothes dryers, garbage disposals, and ovens. Don’t do the heavy lifting. 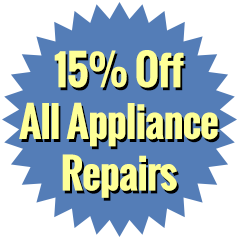 Instead, let our appliance repair and installation technicians to install your new appliance accurately and affordably. We proudly serve customers in Portland, Beaverton, Cedar Hills, Tigard, and Lake Oswego. Some installers simply move your appliance to the right location and plug it in. We do much more than that. Instead, we move your new unit into place without damaging your home’s property. At the same time, if you need new electrical outlets, we are fully equipped to add them as well. 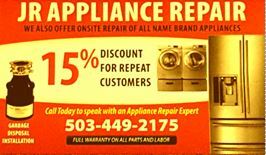 Save yourself the hassle and do it right this time by calling J.R. Repair & Installs in Portland OR for comprehensive appliance installation. Contact us for affordable and same day services if you need a new appliance installed at your home or business. We proudly serve residential and commercial customers in Portland, Beaverton, Cedar Hills, Tigard, and Lake Oswego.